Cloth or Disposables: Which Diapers are Best for Your Family? For thousands of years, parents wrapped their little ones in cloth diapers. Disposables didn’t even come on the scene until we figured out how to make plastic and elastic. While disposable diapers have a distinct advantage in the convenience area, cloth diapers are believed to be friendlier for the environment. Health. The most important health aspect of diapering isn’t the material used, but rather how often you change the diaper. It needs to be changed every time your baby’s diaper is full. While this does happen more often with cloth diapers, as long as they’re changed they’re not unhealthier. Soiled diapers lead to diaper rash, which is unpleasant for your little one. Comfort. How comfortable diapers are varies from one baby to the next. Some babies seem to prefer the softness of a cloth diaper. However, disposable diapers are more breathable, which some babies prefer. In some cases, the absorbing and moisturizing chemicals in disposables can irritate baby’s skin. Convenience. Cloth diapers today aren’t nearly as inconvenient as they used to be. Today’s cloth diapers have snap or Velcro closures and are shaped to fit your baby. They have waterproof leg and waist bands, and even removable linings. You do need to change cloth diapers more often, though, because they aren’t as absorbent as disposable diapers. Cost. 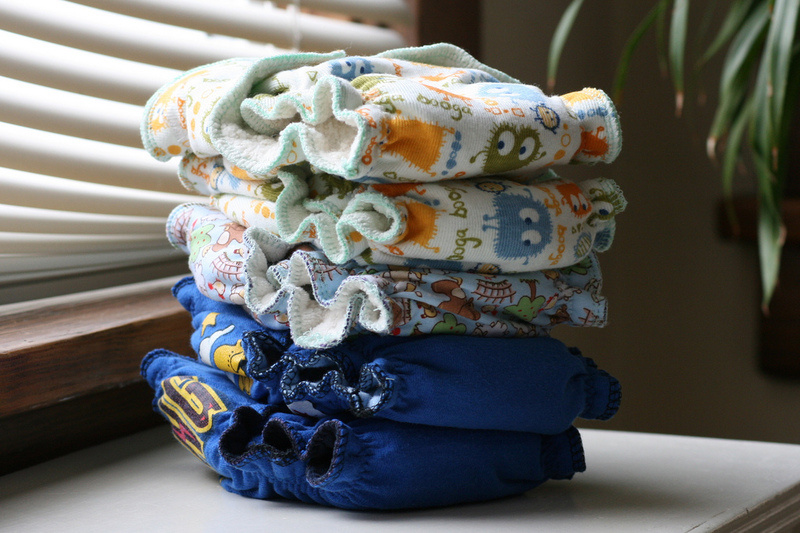 Disposables and cloth diapers cost about the same, if you use cloth diaper laundering services. However, if you launder the diapers yourself you’ll pay around half the cost. If you have other children and can reuse your cloth diapers, you’ll save even more. Environmental factors. Disposables use more resources to create and take up more space in landfills. However, the process of washing cloth diapers can use a significant amount of clean water and energy. The true net environmental benefit to cloth diapers is disputed; it’s possible cloth and disposable use about the same (albeit different) resources. Whether to use cloth or disposables, really, comes down to your baby’s personal preference as well as your own. There are potential cost savings for cloth if you launder them yourselves, but disposables mean less frequent changing. Why Should I Use Cloth Diapers for my Baby?